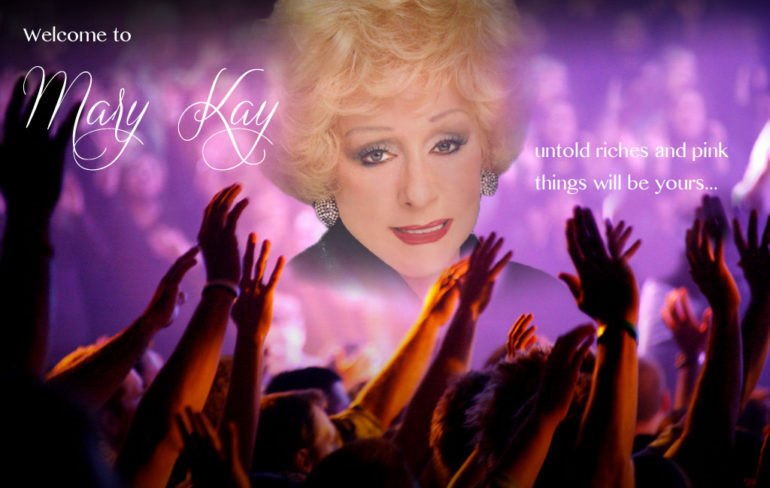 Mary Kay Review: ‘It Felt Like I Had Become A Member Of A Cult’ – F.A.C.E.S. 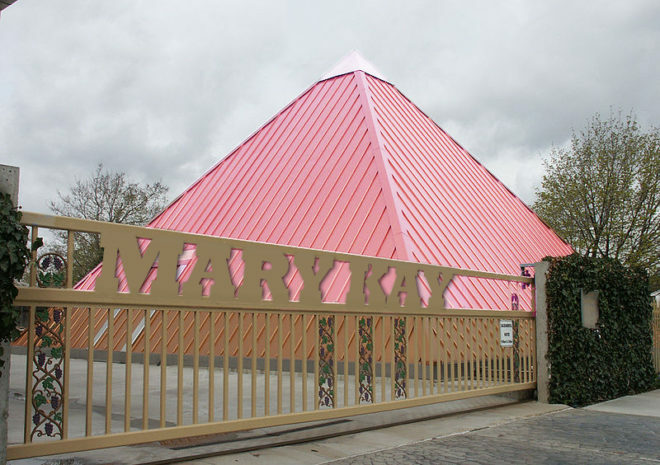 A former May Kay consultant shares some of the cons of being in the Cult of Mary Kay. The website Glassdoor.com is a website that lets former employees rate their various employers. As the Mary Kay pyramid is a business that is mostly comprised of independent contractors (non-employees), with rare exception, many of the ratings on Glassdoor come from Mary Kay consultants who are not employees. It felt like I had become a member of a cult. My family & friends felt the same way too. It was MK this, MK that, MK, MK, MK everything. Every waking moment I was engrossed with it in some fashion. There’s a lack of training in many areas. On the business side it’s a disgrace! As far as the training on taxes, having your office in order, and how to run a successful business -it is pretty much nil until about a month before tax time. Even then there is very minimal training- one hour tops. And they waste more paper! Everything has to be printed, because the training for everything is online just go and look in the filing cabinet on any Directors MK team page. OMG! I can’t tell you how many times I needed just a little help; nonetheless, my Director would just toss me to the side & send me down the wild goose egg aisle. Once in said filing cabinet, you’ll peruse until you can’t peruse anymore. There is SO many awesome ideas, themes, omg it’s every woman’s wonderland! Except you’ve spent 4 hours looking for something that you never found, you can’t remember why you went there in the first place, you’ve wiped out 3 large oak trees that are happily now pieces of paper that are strewn across your lap, the couch, half the living room floor, into the kitchen stealing your entire kitchen table & all semblance of peace & order in your home. Now, you have 22 SUPER ideas, that when you speak to & run past your Director she interjects before you can even get momentum-no, the reason why blah blah blah take this out do that different etc, spend 2-4 hours on the phone with her confusing your brain that’s already busting at the seams from information download to immma gonnnna blow! And indeed there she blows- my time, my emotions/ego, my spirituality, me-everything I have-a heart willing to do the job to the best of my ability-change the world one face at a time, make a difference, make everyone feel special, loved & cared…except me. I was a number. My ExDirector is part of the cult heritage that sadly has dictated this amazing company for many a decade. They have you invest as much as you can in inventory (5K retail investment in inventory is the golden goose of MK-that’s $10,000 in retail worth of makeup & beauty products. That’s a heck of a lot! This product mainly all has a shelf life, so it’s been sitting in a warehouse 2-4 years, you get it, it has to be sold before expiration. That should be easy enough to know-The expiration date – you would think, but nope it’s some Davinci code that’s so complicated & weird. Impossible! Once I figured it out (I think I did anywho), it seemed like my product only had about a year to two years left to sell it. You don’t sell it, it expires…you’re the brand new owner of old beauty products you can’t sell-you can’t wear, it’s useless & now trash-garbage yep. Here’s a good question: Why would you punish your loyal Independant beauty consultants? Why have us write off the loss? Wouldn’t a big, huge company whose sales annually are in the millions- wouldn’t it be beneficial for everybody if they would write it off? Here’s what happened to me- Everything trickles down to the person that invests in themselves to become a part of Mary Kay- as an independent beauty consultant who invests everything they have in their heart- their songs- their dreams and passions and every time it comes out of our Pocket. Lots of prizes, but they’re cheap little trinkets that are sparkly and shiny oh so pretty–for a few times that you wear it then the copper starts rubbing off–from China for our prizes and then they don’t even have the decency to take the tacky round Made in China stickers off. This company feeds off of their salesforce that is their bread-and-butter. The lack of training—true training and having a quality leader someone that isn’t a cult queen—my Ex-Director literally teaches that people are numbers & you have to just go through them-next, next, next in order to earn the car or become director. Not all are like her and most of the Mary Kay cult is finally retiring & leaving. Thankfully! Excellent company & a great way to make money if you have money. If you don’t have money do not get into direct sales. go get a regular job, get on your feet–meet people at that job and you’ll be meeting your future customers that will be the catapult to you leaving your 9-5 & being a lady BOSS–operating your very own business! Be smart work smart & Good luck!